Mega Sale! Free Shipping Included! 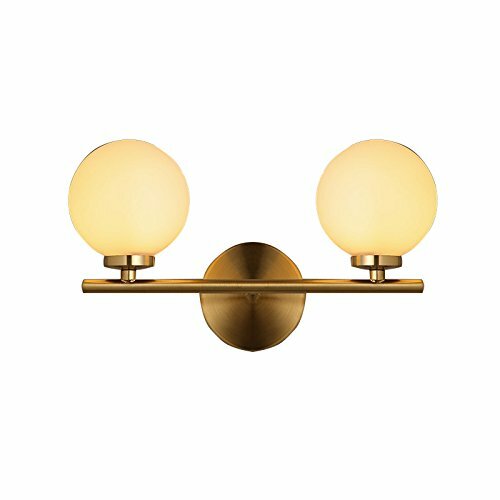 Save 26% on the MASO HOME, MS-61296 Mini Sized of a Double Light Balls for Uplight Wall Sconces, Fashion Simplicity Vintage Industrial Metal Based With Glass Material Shade of Wall Lamp by MASO HOME at Elect Forum. MPN: MS-61296. Hurry! Limited time offer. Offer valid only while supplies last. BRIGHT AND BEAUTIFUL: The Minimalist Design Pendant Cage Is Perfect For Any DIY Lighting Project, Create A Wall Lamp, Ceiling Lamp Or Just Simply Change The Shade On Your Boring Table Or Floor Lamp. 5YEAR WARRANTY:100% Satisfaction Guaranteed. 30 Days Changing Or Refunding Without Reasons. If you have any questions about this product by MASO HOME, contact us by completing and submitting the form below. If you are looking for a specif part number, please include it with your message.